Update: After it was announced at this year's E3, things have been fairly quiet around the re-release of the Duke controller. Now, however, as the Christmas season and Xbox One X release period approaches we're hearing a little bit more. There's still no price and release date yet, but Hyperkin has said that it'll be taking pre-orders for the controller. While we can't wait for original Xbox games to come to the Xbox One X, we can't help but think we're missing a certain something to fully recapture the nostalgia of Microsoft's original console. 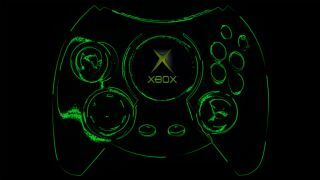 Thanks to a deal between Microsoft and accessory maker Hyperkin, that 'certain something' could be the OG Xbox's massive hand-wringer of a controller, aka the Duke. This holiday, nostalgic gamers can get their hands on a remastered take on the original Xbox controller, compatible with the Xbox One family of systems (including the newly announced 4K-ready Xbox One X) and Windows 10 PCs. While the relaunched Duke will retain all the oversized glory of its 2001 ancestor, Hyperkin is adding a few tweaks to bring the controller up to speed. First off, the new Duke will feature left and right bumpers, making it fully functional for games both contemporary and classic. Additionally, the giant Xbox logo that took up the middle of the original Duke will be replaced with a fancy display screen. Finally, Hyperkin's Duke redux will come with a 9-ft detachable cable with the option to go wireless, according to Gizmodo. A price (or net weight) for the brand-new Duke controller hasn't been announced yet but given the semi-ironic/semi-serious love for Xbox's original pad, we hope Hyperkin can keep up the stock to avoid the kind of shortages that can plague retro callbacks (looking at you, NES Classic Edition).